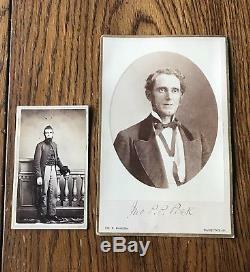 Civil War CDV Soldier Uniform & Kepi 89th Ohio John Peck & Cabinet Card signed. 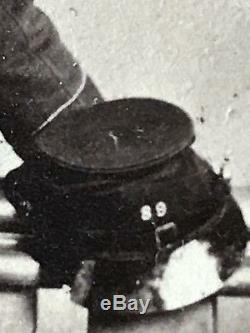 Two images of Jonathan P. CDV shows Peck standing in Civil War Uniform with number 89 on his kepi. Most likely Ohio, but possibly another state. 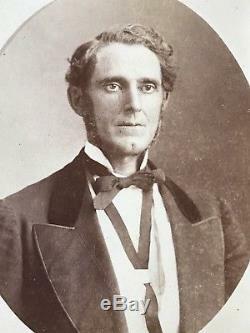 Cabinet card is later, ca 1870. 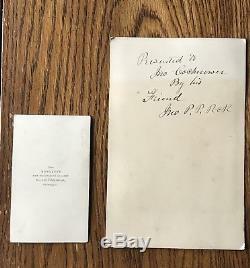 Peck on front and inscribed to his friend Jonathan Cochnower on reverse. Is a common abbreviation of the first name, Jonathan. Bright images with nice tones, in excellent condition. 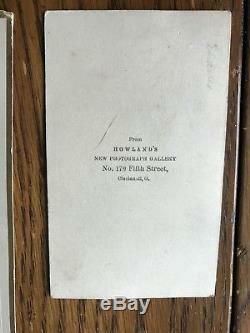 The images came from an album that was owned by the Cochnower family of Cincinnati. Both images were found on same page in the album. 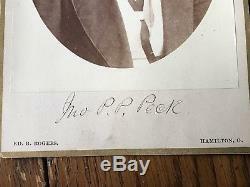 M sure they are both of Peck although the cdv is not labeled. 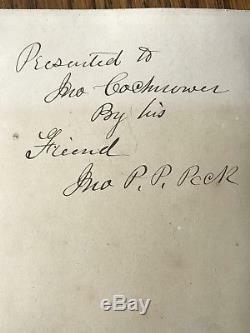 The Cochnower family was was prominent in Cincinnati, Ohio. One of the Cochnowers was a Commissioned Officer in the 74th Ohio. James Cochnower posed on top of Lookout Mountain in Tennessee. See multiple additional photos below. I describe each item honestly and do my best to represent each item accurately. Multiple photographs are provided so that you can clearly view the item and make informed decisions about condition and value. Your satisfaction is extremely important to me. Ill be sure to do the same for you. Contact me with any questions. Please see my other items. _gsrx_vers_811 GS 7.0.9 (811). 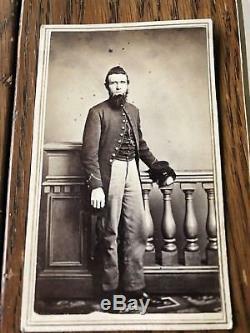 The item "Civil War CDV Soldier Uniform & Kepi 89th Ohio John Peck & Cabinet Card signed" is in sale since Sunday, November 19, 2017. This item is in the category "Collectibles\Militaria\Civil War (1861-65)\Original Period Items\Photographs". The seller is "lightkeeping" and is located in Fairfax, Vermont. This item can be shipped to United States.